Some of you might know that I have a bit of a weak spot for oldtimer aircraft. Although I'm flying the Airbus A380, one of the worlds most modern airliners, for a living; it is when I fly my vintage 1954 Piper Super Cub that my love for aviation is the strongest. Combining photography with my passion for flight is always high on the priority list; be it shooting Airshows, Aerials or Air to Air photography; all are close to my heart! The last one, photographing aircraft from another aircraft (air to air), is probably the most exciting one. When shooting propellor aircraft like this 1941 Piper Cub below, is challenging because of the low shutter speed that needs to be used in order not to freeze the propellor. The beautifully restored 1941 Piper Cub pictured above, is actually up for sale in Belgium. If you are interested in owning a very well restored World War II era vintage aircraft, please click here or send me a PM in order to bring you in contact with the owner. New York city, remains my number one preferred destination when it comes to Street Photography! Needless to say, I'm always looking forward to hunting the streets of Manhattan, whenever the opportunity arrises. Such was the case last week, when I spend 48hrs in the Big Apple! Unfortunately the weather wasn't on my side the first day, as it was pretty much pouring rain the whole day. You might not think so, but shooting from under an umbrella with a lightweight set-up like the Fujifilm X-T2 and 23mm f2 lens is clearly not a show-stopper. Been partially invisible under the umbrella actually has an advantage whenever one is after those candid moments. 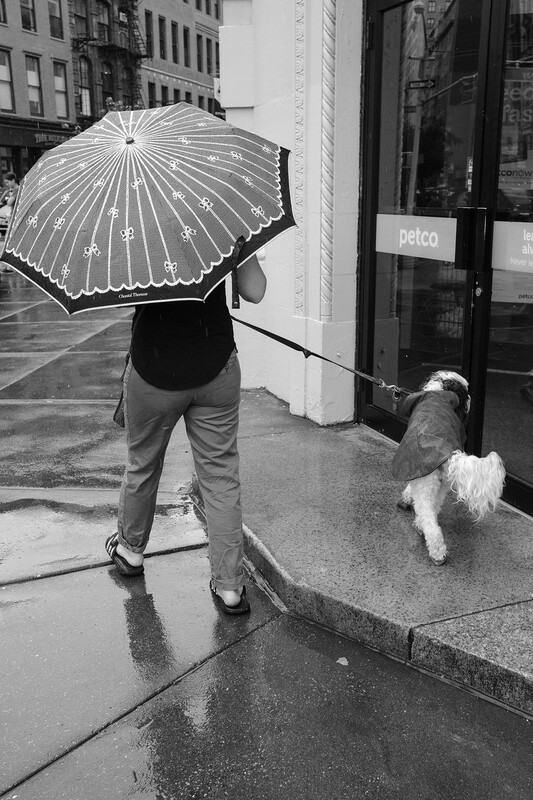 Such was the case in the image below, when I was shadowing a lady walking her dog; I was attracted by the colorful umbrella and the dogs coat. Little did I know that in one of the frames I took, the dog was looking straight into a "pet shop"! Yes, PetCo is indeed a pet shop; I actually had to look it up when I was back home. More of my New York Street Photography can be found here. Last week, I flew my 1954 Piper Super Cub to Burgundy; a well known wine area in the South-East of France. Since the 63 year old vintage two-place airplane is perfect for Aerial photography, shooting some portfolio images was one of the main objectives of the trip. As we were staying just outside a small grasstrip airport (Nuits Saint-Georges), I was able to do some interesting aerial photography early morning; leaving just after sunrise I was still able to be back for breakfast. Flights like these, make me reflect why I became a pilot in the first place... There is something magical about flying at 500 feet over an amazing landscape at first light, all at a leisurely 70 knots. Flying with the door wide open makes it all that much intimate. Although images like the one below can probably also be made with some kind of a drone, the experience is very different! 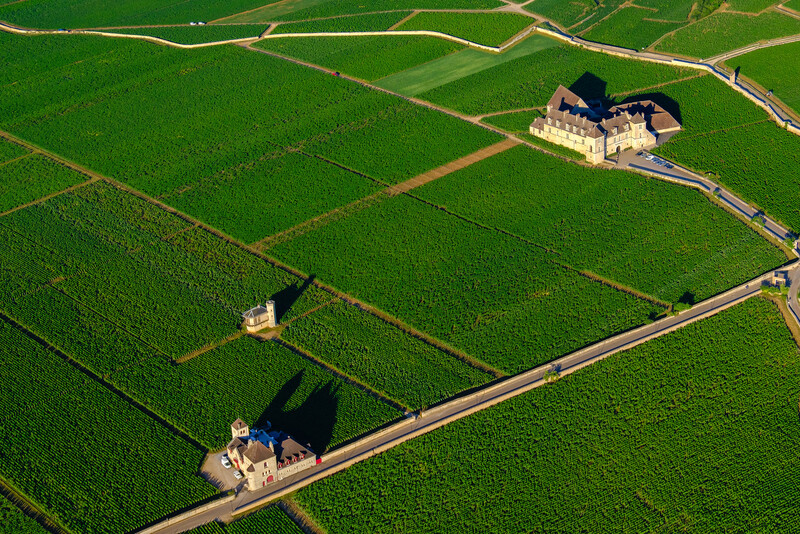 While I shot more 5 star (portfolio worthy) images during my days in Burgundy, the image of the Clos de Vougeot below, is the one that sticks out the most. The Clos de Vougeot doesn't produce its own wines anymore, but symbolises almost 1000 years of Burgundy history and still has a lot of very productive and well known vineyards around the property. I was especially attracted by the way how the shadows casted over the vineyards and how peaceful the overall feel of the scene was; to me it clearly symbolises the joy of flight! More of my recent Aerial photograph work can be found here. The city of Brugge (Bruges in English), is often referred to as "The Venice of the North", while the 2008 movie "In Bruges", sparked the interest in this medieval city even more! 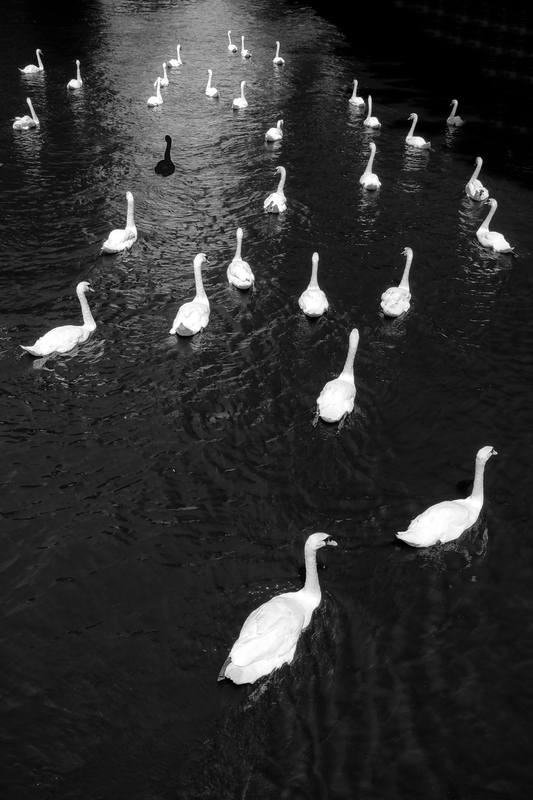 When visiting Brugge for the first time one has to check out the white swans on the "Minnewater"; in English referred to as "The Lake of Love". A large group of swans has been living there since at least the start of the 15th century. The image below of a group of swans on the Minnewater was shot a few days ago... With a little help of post-editing, the missing black swan is now back! More images of Brugge (Bruges) can be found here.